How I made this photo? I would not shy short of saying that composition is the most important factor in any great photograph. After all, where you stand, what you see and when you click the shutter is all there it is to photography. 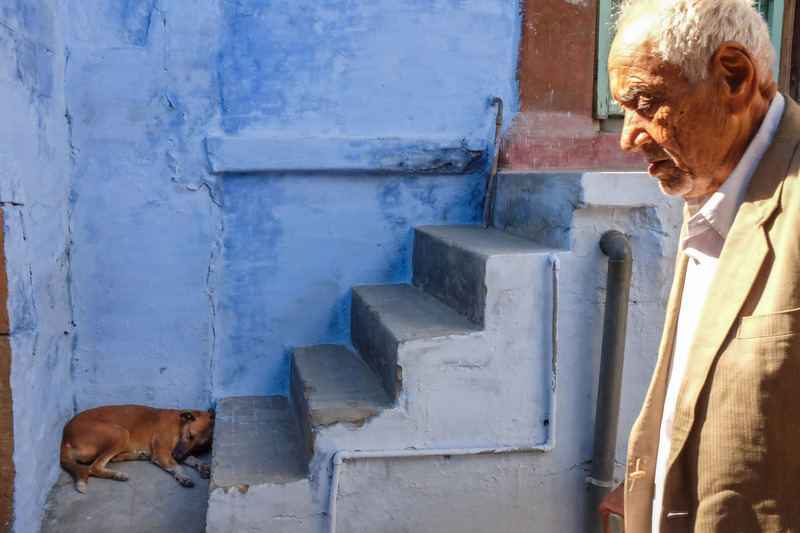 It might seem utterly simple when put this way, but the truth is that those who have mastered the art of photography have taken a lifetime to know where to stand, where to point the camera and when to click the shutter. 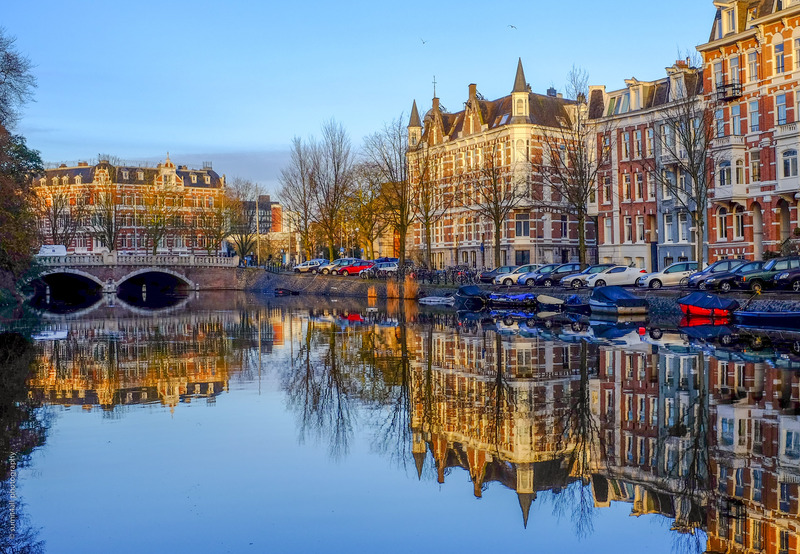 It is not often that Amsterdam is sunny and dry. But when it so, especially in summers, it is the place to be. You will see everyone in the canals in their private boats just cruising around while having some drinks and snacks. Just the perfect way to relax in the afternoon sun. Above on the roads besides the canals, you can see people walking or biking around in the perfect weather … while it lasts.. The outside seating on most cafes are full as you can see people catching up with friends over a beer and a loong conversation. 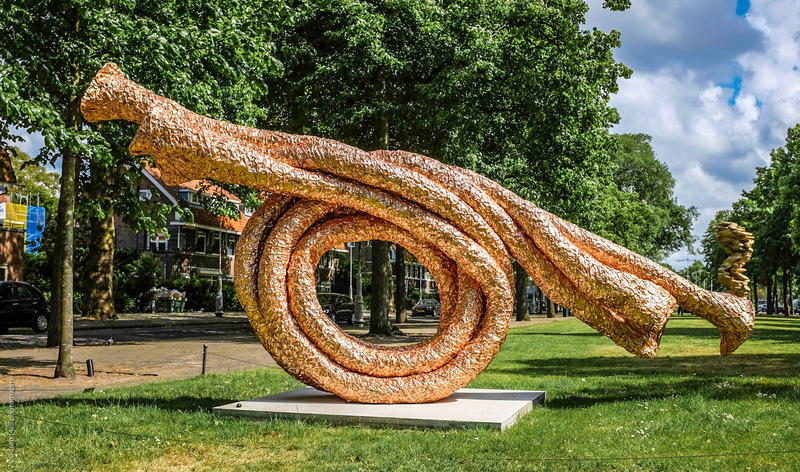 The fourth edition of the biennial International Sculpture Festival – “ArtZuid” in Amsterdam was showcased from May 22 to 22 September 2015. The 2.5 km long route has numerous sculptures installed, from over 21 artists.